If you've been feeling back pain for over 12 weeks, there is a very good chance that you are suffering from Chronic Low Back Pain (CLBP). Chronic Low Back Pain may leave you feeling restless, hopeless, and hungry for answers. Many clients have had lower back pain for so long that it almost feels as if there is no solution. However, the solution to chronic pain could be as simple as moving around a little bit more each and every day—in a controlled and calm environment. In other words, practicing Pilates can be the perfect solution for your back pain problem. How Does Pilates Help with Chronic Back Pain? Pilates sessions have been shown to eliminate back pain by strengthening your core. They also help you to practice good alignment of the spine, as well as stretch out your tight back muscles. This often provides immediate relief during a session, but it will also help you eliminate chronic low back pain in the future—especially if you continue with more Pilates sessions. If this sounds like something that you would like to try, a beginner's Pilates class would be a great place to start. Performing these light yet powerful movements 2-3 times per week can help you see the results you're looking for—a more stable core, a stronger back and body, and increased flexibility. You will soon realize that you will have better control during movement, improved posture, and better breathing. Lastly—and most importantly—Pilates can be the answer to reducing pain and increasing functional ability. 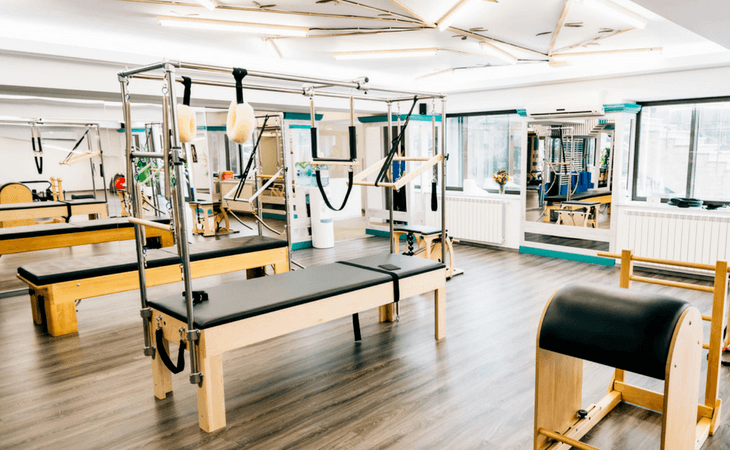 Before you get started, however, you should first consult a Certified Pilates Instructor to make sure that you are healthy enough to engage in exercise. Engage Your Abs/Core: Since your back and your abs support one another, it’s important to make both stronger at the same time. Lengthen your neck and keep your shoulders down: Your ears should never be near your shoulders. Your body should work symmetrically: Your hips should be evenly set and so should your shoulder level. Be mindful and present with every movement: At first, go slow and gently. If an action provokes pain—don’t do it. Breathe as deeply and as controlled as possible. This will activate your core and help you relax. Through Pilates, you'll see your body growing and your pain shrinking. When compared to typical care and other physical activity, Pilates goes above and beyond getting rid of pain—it also strengthens your body, so you'll to be able to do more and you'll be stronger than before! The practice of Pilates is also highly versatile and modifiable. As you grow stronger, you can adjust the exercises to match your level. You can also use specialized Pilates equipment, like a Reformer, to help monitor, guide, and support your movements. Would You Like to Give Pilates a Try? If you would like to talk to us about starting a Pilates program, please give us a call at 770-723-6880. Our studio is located at 4375 Johns Creek Parkway, Suite 330, Suwanee, GA 30024. You can also reach us online by clicking here. The Pilates method has become very popular not only as a way to work out but also a holistic approach to the body. It addresses physical strength, flexibility, posture, and mental awareness. It was designed by Joseph Pilates, a German physical trainer, during World War I. He brought the method to the U.S. in 1926, with his fitness center in New York. It can be adapted to people with any fitness background. It reduces pain and disability. It can be used as a rehabilitation tool. It increases the psychological well-being. The following sections will cover how Pilates works AND the health benefits it provides backed up by research. Centering: The method focuses on the center of the body – what Pilates named the “powerhouse”. Each exercise begins by activating the core muscles. The concept is that energy begins at the core and radiates outward to the extremities. Concentration: The mind guides the body. The greatest value comes from undivided attention and full commitment to each exercise. Control: The consequence of absolute focus is muscular control. The concentration of the mind allows a better control of each movement. Breath: Joseph Pilates emphasized the importance of breathing in his exercises – Inhaling and exhaling deeply. Most exercises synchronize with the breath. The purpose is to clean the body through proper breathing. Precision: The method aims to do the movement properly, not doing as many repetitions as you can. The goal is to keep the body aligned while doing each exercise. This teaches the body how to move correctly. Flow: Our bodies move by connecting all body parts in a “flowing manner”. That’s why this method doesn’t include static or isolated movements. Each exercise “flows” into the other. It’s believed that these principles make the Pilates method so versatile and effective. Exercises can be adapted depending on the goal – e.g. 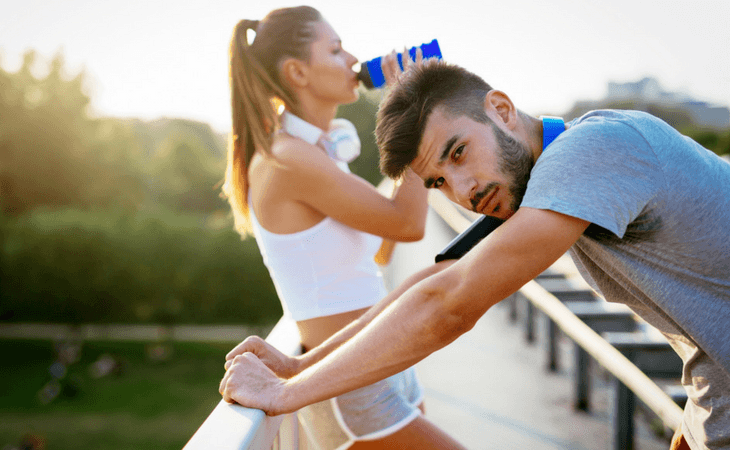 strength training, rehabilitation, or a vigorous workout. They can be performed on a mat or specialized equipment – one example is known as a “Reformer”. The method uses body weight as resistance with 3 to 5 repetitions per exercise. Chronic low back pain. Pilates provides the same results as a “Back School” program or therapeutic exercise. The recommendation is that patients with non-specific lower back pain have at least 2 to 3 sessions of Pilates per week. 20 cumulative hours show an important decrease in pain and enhancement of functional abilities. Scoliosis. Pilates is suggested for patients with scoliosis, whether their treatment is surgical or conservative. This method increases the flexibility of the spine and decreases pain. It can also enhance the treatment of scoliosis when combined with chiropractic therapy. Bone health. A single session of Pilates can aid bone development in women with osteopenia. Multiple sclerosis. It can improve the walking performance and the functional ability of patients with MS.
For older adults. A Pilates program can significantly improve the gait pattern and the postural balance in older adults. This has a positive impact on their quality of life. Psychological well-being. Pilates also has psychological benefits. It improves the mood, the sleep quality, self-confidence, and can reduce depression. This method is beneficial for pain management and the overall body function, regardless of age or physical condition. However, keep in mind that Pilates is a tool in a rehabilitation context. If you’re experiencing pain or some kind of functional disability, please consult a healthcare professional. He/she is trained to evaluate, diagnose, and treat your symptoms. If you would like to make an appointment, please contact us now! In January, our studio received many new clients with back pain, tight hip flexors and tight hamstrings due to sitting in front of a computer all day. Using an exercise ball (sometimes referred to as a “yoga ball”) at your workplace has many benefits for your overall health, including your spine. Forces proper spine alignment. Because an exercise ball is not stable, your body needs to try to balance itself on it. The perfect spinal posture is coincidently the easiest to balance with. Thus, your body will automatically try to align itself into the proper posture. This helps improve your spinal health, and decrease back pains. Causes you to frequently change positions. An exercise ball causes to you to change your position often to balance. This helps reduce damage caused by prolonged sitting in the same position. Improve your balance. Sitting on an unstable surface all day will improve your sense of balance, as well as the reactions of your muscles. Improves your circulation. Using an exercise ball will keep the blood flowing to all parts of your body, throughout the day. A desk chair on the other hand, reduces circulation to some parts of the body after prolonged use. Classical Pilates teachers teach within the order of exercises Joseph Pilates created for the reformer and mat. Why is there an order to Pilates exercise? Why? Because Mr. Pilates’ order appropriately warms up the body, challenges and cools it down. His order strengthens and stretches the torso, arms and legs in all planes of movement. His order challenges clients in the appropriate progression with and then against gravity: lying down, sitting up, kneeling, standing. What about on other apparatus? Classical Pilates teachers use the previously mentioned progression as well as all of the information s/he gathered during the reformer and mat portion of the session to pick which exercises to do on other apparatus and which order to do them in. If the session is primarily on an additional piece of apparatus, like the low/high chair or cadillac/tower, then a Classical Pilates teacher works to create a session with that gravitational progression and the theory behind the reformer and mat exercise orders to create a well-balanced and challenging session for her client. What was Mr. Pilates’ intentions? That the session is a strong full body and mind workout, appropriate for the client that centers around abdominal strength. Note that I said “workout”. Indeed. Clients are meant to exercise to their fullest potential. We must take into account the person in front of us adapting the workout for each client’s individual needs. A relatively normal, healthy person ought to be challenged in stamina, strength, stretch and stability. Those who are ill or special cases in any way still get challenges, but we take their condition into account when challenging stamina. We have choices.